I fell in love with the concept of the mythic quest when I read Christopher Vogler’s book The Writer’s Journey, so much so that I knew I had to write my own quest story. I’m not one for fantasy, either in real life or genre fiction, so I decided to use the hero’s journey structure for Daughter Am I, my contemporary novel of a young woman — Mary Stuart — who goes on a journey to learn about her recently murdered grandparents. Accompanying her are six old rogues — gangsters and con men in their eighties — and one used-to-be nightclub dancer. Developing so many characters at one time is difficult under normal circumstances, but the mythic journey archetypes helped me create the characters and keep them focused on their roles. Whether gangster or wizard, hit man or Darth Vader, the archetypes — and the power of the archetypes — are the same. The hero is the one who grows the most in the story, who gains knowledge and wisdom. Heroism, in the mythic journey sense, is connected to self-sacrifice, risk, and responsibility. The hero must perform the decisive act of the story, though at the beginning, before their transformation, heroes often need to be goaded into action. Mary starts out only wanting to learn about her grandparents, and ends up becoming intensely loyal to the elders in her charge, which changes all of their lives. A herald gets the hero started on the journey. Kid Rags, a dapper forger forced into retirement by computer technology, eggs Mary on, challenges her to find out more about her grandparents. Kid Rags is also a mentor, giving guidance and gifts, a role he shares with Teach. Teach is a con man who believes everything is a con, and he is not hesitant about sharing his vision. Every mythic journey needs a trickster, a character who embodies the energies of mischief and a desire for change, and who provides comic relief. The trickster in Daughter Am I is played by Happy, an ex-wheelman for the mob. Happy wants to be on the move, is always urging action, and he peppers his talk with morose and unanswerable pronouncements about death. Did I mention that he carries a gun, but that his hands shake too much to be able to aim it properly? Poor sad Happy. The shapeshifter is Tim Olson, Mary’s romantic interest. He doesn’t actually change shape, but he appears to change constantly from Mary’s point of view. He tempts, dazzles, confuses her, and makes her question his loyalty. The shadow represents the energy of the dark side, the villain, and in the case of Daughter Am I, the villain truly is a shadow — Mary and her band of feisty octogenarians never even get a glimpse of him until the very end. Iron Sam, a dying hitman, is also a shadow. Although he is not a villain who has to be vanquished, he represents the dark side of Mary, a sinister balance to her guilelessness. The story of Daughter Am I lightly follows the stages of the mythic journey, from a glimpse into Mary’s ordinary world, to the call for adventure (her own curiosity as to who her grandparents were and why they were murdered), her reluctance to commit to the journey, meeting her mentors, deciding to take a chance and just head out to talk to others who might have known her grandparents, undergoing tests and ordeals, and ultimately returning home, knowing who she is and what she wants to do. Although Daughter Am I takes the same “hero’s path” that worked for such disparate stories as The Wizard of Oz, Star Wars, and Tin Cup, the journey is Mary’s own, not a rehash of any of any other quest story. That is the beauty of the hero’s journey — the structure is infinitely malleable, giving any story a mythic undertone without overshadowing the story itself or confining it into a strict formula. I wish I could say writing this book (Daughter Am I) changed my life since would make a good story, but the fact is, it made little difference. It was the third novel I wrote. I’d already experienced the joy and sense of accomplishment completing a novel gives one, and I’d already experienced the disappointment that comes from having a novel rejected. I’d already experience the joys of being published and the disappointment that comes from not having the book take off immediately. Now, if Daughter Am I would go viral, that would change my life! Here are some challenges other authors faced as they wrote their books. The comments are taken from interviews posted on this blog. I think each book that I’ve written has changed my life. I remember an episode of Star Trek, Next Generation, when Jean Luc Picard was swept away to live out his life on another planet. He eventually fell in love, married, had children, and learned to play a musical instrument. When his new world came to an end, he learned that he had never left the Enterprise, and that the whole alternate life experience had occurred only in his mind, in a few days time. I feel like that every time I finish a book. It’s like I’ve visited some alternate reality and lived the life of my character from start to finish, feeling what they feel and experiencing what they experience, when in reality, I’ve just been sitting at my desk, typing away. In a very real way, I think each book makes me a richer, more multi-faceted, more understanding person because when I’ve walked a mile (or a hundred) in my character’s shoes. Click here for more interviews by Second Wind Authors. 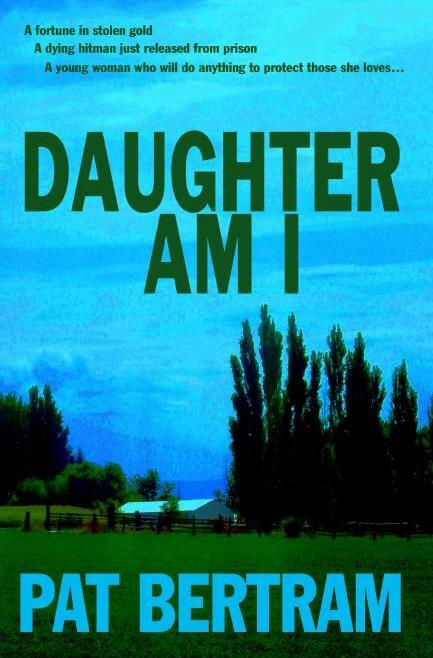 What is the main premise of Daughter Am I? When twenty-five-year-old Mary Stuart learns she inherited a farm from her recently murdered grandparents — grandparents her father claimed had died before she was born — she becomes obsessed with finding out who they were and why someone wanted them dead. Along the way she accumulates a crew of feisty octogenarians-former gangsters and friends of her grandfather. She meets and falls in love Tim Olson, whose grandfather shared a deadly secret with her great-grandfather. Now Mary and Tim need to stay one step ahead of the killer who is desperate to dig up that secret. I developed the idea for Daughter Am I in a single day, but I had to finish the book I was working on at the time, so I didn’t actually begin writing Daughter Am I until several months after I got the initial idea. It took me a year to write, and then another year to edit. Who’s your favorite character in it? That is a hard question! All the octogenarian gangsters in Daughter Am I are my favorites in their own way. There’s Teach, who sells bullets he claims came from the shoot-out at the O.K. Corral. There’s Kid Rags, who still works as a forger. There’s Happy, a trigger-happy ex-wheelman for the mob, whose hands shake so much he can barely aim let alone shoot. That’s only three of the octogenarians — there are seven feisty old gangsters all together. Well, six gangsters and one ex-showgirl. I’m currently collaborating on writing a novel online with eight other Second Wind authors. We each write from the POV of a different character, and follow that character throughout the story. In the first story, a little girl’s body was found in the desert, but who killed her? We won’t know until the book is finished! You can find this project at http://rubiconranch.wordpress.com I hope you will check it out! What is something that surprised you about being an author? The most surprising part for me is that I know how to write. For many years, my life was shadowed by the sadness of having no innate talent for writing. I’m not being modest — I really couldn’t write anything worth reading. When I decided to write despite that lack, I set out to learn everything I could about developing a readable story. Most of the how-to books confused the heck out of me — the authors would talk about rising conflicts and motivation/reaction units, and I didn’t have a clue what they meant. It’s only recently that I realized I actually know what I’m doing. I did! I took the photo while I was out walking one day, and then tweaked the color. I’m pleased with the result. Which do you use most for writing on, laptop or desktop? I am not being contrary. I do have reasons. I have a better mind/writing connection using pencil and paper than I have with a keyboard; a mechanical pencil is easier on my fingers than pen, and paper is easier on my eyes than a computer screen. But I do use a lap top for blog posts and interviews and such. For me, fiction writing is largely a matter of thinking, of trying to see the situation, of figuring out the right word or phrase that puts me where I need to be so the words can flow. I can do this better late at night, in bed, clipboard propped against my knees or on a pillow than sitting at a desk. If, as Mel Gibson said, “A movie is like public dreaming,” then novels are like shared dreaming, and where better to dream than in a comfortable bed? I’d take the Luck O’ the Irish. With a bit of luck, I could get whatever I wanted, including gold. And anyway, luck weighs a heck of a lot less than a pot of gold and is easier to carry with you. All my books are available both in print and in ebook format. You can get them online at Second Wind Publishing, Amazon, B&N and Smashwords. Smashwords is great! 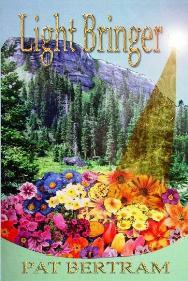 The books are available in all ebook formats, including palm reading devices, and you can download the first 20-30% free! New Releases From Second Wind Publishing. Let’s Party! SecondWind Publishing is pleased to announce the release of three new thrillers: One Too Many Blows To The Head, by J.B. Kohl and Eric Beetner, False World by JJ Dare, and Daughter Am I by Pat Bertram. What is more exciting than three new releases from Second Wind Publishing, LLC? Four new contests! 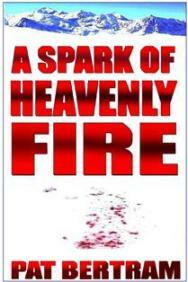 Eric Beetner is having a Free ebook giveaway of the latest thrillers! Tell us an experience based on one of the new releases, and you might win that ebook. Click here for information. J.B. Kohl invites you to “Tell Me About it. Maybe I’ll Give You A Book.” Write a 500 word short story about a flawed character. Click here for information. JJ Dare is sponsoring a “False World” Story contest. All you have to come up with is 50 words. Click here for information. If writing isn’t your thing, Pat Bertram is having a Treasure Hunt! Click here for information. What is more exciting than four new contests or three new releases? Two great games to play! Click on the photo to find the game. And what is more exciting than four new contests, three new releases, two great games to play? One free download! Click here to get a free download of the Second Wind Publishing Mystery Sampler ebook. If you prefer to read online, click on one of the covers above to read the first chapter of the novel. After watching the movie, The Jane Austen Book Club, which followed several couples whose stories mirrored those in Austen’s books, I decided to reread Sense and Sensibility. While plowing through the incredibly long and obtuse introduction to the book, I couldn’t help wondering what Jane would think of it. Did she really mean to say all the things the author of the introduction said Jane meant to say? How would Jane feel if she found out that kids were studying her book in school and adults were studying it in book clubs? Did she mean her books to be studied? Or did she mean for them to be read? On the off chance of Daughter Am I ever being taught in schools, I’ll tell you right now what I meant. I meant for people to enjoy the story of Mary’s quest to discover who killed her grandparents. I meant for people to be taken away from their mundane lives for a few hours. I meant for people to read themselves to sleep and wake up thinking about Mary’s journey and perhaps smile at the antics of the aged gangsters who accompany her. And after all that, if I get anyone to wonder about the truth of the stories my gangsters tell, so much the better. Although I pepper my novels with little known or controversial truths, I stay away from obvious messages in my novels, such as political agendas, religious beliefs, and current issues, yet it’s almost impossible to completely delete messages from a story. Even the frothiest romance has a message, a theme: love wins out in the end, or love conquers all. The unifying theme in all of my books is the perennial question: Who are we? 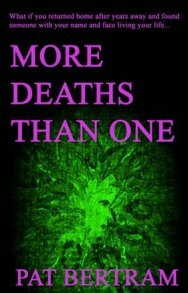 More Deaths Than One suggests that we are our memories. A Spark of Heavenly suggests that we are the sum total of our experiences and choices. Daughter Am I suggests we are our heritage. But you don’t really need to know this theme. It was more for me, a way to keep me focused on my stories. Because that is what I write. Stories. Not books to be studied, but stories to be read. Daughter Am I is Pat Bertram’s third novel to be published by Second Wind Publishing, LLC. Also available are More Deaths Than One and A Spark of Heavenly Fire. Learning “tricks of the trade” about writing is part of what my journey with Second Wind Publishing is all about. Will I ever know all of the tricks and bring an end to my learning curve? I lean toward the belief that I won’t, and maybe that’s what I love most about writing. Its complexity and slipperiness guarantee that it will never be a stagnate entity. “Getting it right” is subjective because, after all, one man’s “perfect” book is fifty cents at a garage sale to another man. Even the Bible has its detractors. I recently learned a writing “trick” that moved me a bit farther along my learning curve. Pat Bertram, another Second Wind author with newly released “Daughter Am I,” put me on to it, and it’s such a nice bit of information that I wanted to share it in this blog. It has to do with structuring characters’ conversations so that they feel in-the-moment and real and fluid. It was fun to break out of my mold of sameness and change my characters conversations for the better. An interesting side note: the changes shortened my book by almost five pages. So what is this trick, you say? It’s something that I’ve started calling “Beat/Attribute,” for want of a better name. It has nothing to do with WHAT the characters are saying and has everything to do with describing HOW the characters are saying what they are saying. Is the dialogue snappy, with no intruding visuals? Or, if there are visuals, do they occur before or after the dialogue? Is there a WAY of speaking that needs to be emphasized? It also means eliminating unnecessary “said”s—ones that only serve to draw a reader out of the scene. Another interesting side note: WHAT the character says often changes too, as a by-product of playing around with the sentence structures. 3) Beau took the last two glasses of champagne from a passing footman’s tray, downing one of them in a single gulp. “No, it happened because I foolishly allowed your prattle about your cousin to lure me in here,” he said crossly. [Stephen King wouldn’t agree with this one; he hates –ly descriptors in conversations]. 5) “No, it happened because I foolishly allowed your prattle about your cousin to lure me in here.” Beau took the last two glasses of champagne from a passing footman’s tray, downing one of them in a single gulp. I could come up with more varieties, but I’ll stop. The point is that altering the dialogue structures throughout a book keeps the action fresh and prevents readers’ eyes from glazing over. Does anyone have any other interesting “tricks” they want to share? I’d love to hear them! Coming soon from Second Wind Publishing. I do so enjoy getting fan mail! How wonderful to wake up to a message such as this: I just finished Daughter Am I, and have to tell you how very much fun I had on that ride. I’ve always been a fan of happy endings, most especially if the characters are willing to put time and energy into helping make it happen. I loved coming full circle. I loved when Crunchy collected his latest stray — “Can we keep her?” I loved seeing in print “Money could buy happiness.” What a wonderful story, from start to finish. What an awesome gift. Thank you. I hope I didn’t include any spoilers. All I could think of was sharing this woman’s enthusiasm for my latest novel. Readers connect the circle, and in an odd sort of way, they finish the book. They take your vision and make it their own. Priceless.